5SOS unveil official music video for ‘Want You Back’ – Watch it here! 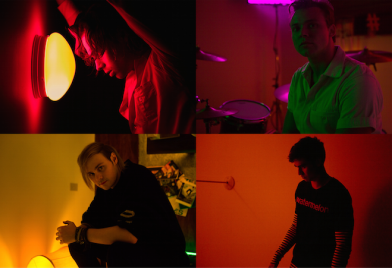 5 Seconds of Summer (5SOS) today unveil the video for their new single, ’Want You Back’ – click HERE to view. The band also recently announced dates for the Spring 2018 5SOS3 tour, which went on to sell out in a matter of seconds. The 5SOS3 tour, which is currently underway, will take the band on a 26 date run of shows around the world to premiere new music for the 5SOS fans. ‘Want You Back’ is 5SOS’ first new single in nearly two years and has already amassed over 30 million streams on Spotify since it’s release on 23rd February. After 18 months on the road in support of their No. 1 sophomore album ‘Sounds Good Feels Good’, the band have spent the last year living, writing and recording their new album in Los Angeles, set for release through Capitol Records later this year. 5SOS, who built a loyal and passionate fanbase playing shows around the world, decided to take the new music directly to their fans on the 5SOS3 tour, which kicked off on March 20 at Debaser Strand in Stockholm. 5SOS will visit a total of 26 venues on the run, which will include shows at Heaven in London (April 5), New York City’s Irving Plaza (April 12) and the Belasco Theater in Los Angeles (April 25). See below for itinerary. Hailed as the “biggest new rock act in the world” by Rolling Stone, 5SOS are one of the biggest breakthrough stories of the last few years; over six million albums sold worldwide, 1 + billion Spotify streams and a self-titled debut album that not only topped the US Album Chart (going to #1 globally on iTunes in 76 countries) but also became the third biggest preorder in iTunes history and the biggest US debut by an Australian artist ever. 5SOS’s debut album has sold more than 3.5 million units worldwide, with 1.5 million albums and more than 4.5 million single tracks sold in the U.S. alone. Their second album, ‘Sounds Good Feels Good’, topped the charts around the world (charting at No. 1 in 12 countries), making them the only band in history (not vocal group) to see their first two full-length studio albums debut at the top spot on the US Billboard 200 chart , and the third Australian act in history to have simultaneous No.1 albums in the UK, U.S. and Australia. They are also the first Australian band (including vocal and not vocal groups) to see their first two full-length albums debut at No.1 on the US Billboard 200 Chart. Having sold over 1 million concert tickets around the globe, the band have sold-out some of the world’s biggest venues. In 2016, they played over 100 shows in 31 countries on their ‘Sounds Live Feels Live’ tour including sold-out dates at Madison Square Gardens and London’s O2 Arena. The band have also won an American Music Award, a People’s Choice Award, an iHeartRadio Music Award, five MTV European Music Awards, two ARIA Awards and an MTV Video Music Award.